This is the penultimate article in a four-part guide to the various penalties contractors could end up paying if documents filed with the taxman and Companies House, or outstanding monies, are late, writes Sumit Agarwal, managing director of contractor accountants DNS Associates. The list of penalties for late filing and payments is long; we’ve already covered Self-Assessment tax returns, your annual accounts to Companies House, VAT and Payroll. Here, in part three, the focus is on penalties that apply to corporation tax returns and accounts, late filing and payment penalties associated with P11D (recording expenses and benefits) and, because it also directly concerns some contractors, those connected to the Construction Industry Scheme (CIS). Which can rise to £2,000 as the penalty due is calculated as a percentage of the total tax owed plus the frequency of delays. For example, if your company tax return is late for three or more accounting periods in a row, the initial flat-rate penalty increases to £500 with a further £500 charged if you file your return more than three months late. Your corporation tax payment is a different matter – showing all the cunning and underhandedness for which HMRC is notorious! Your corporation tax payment is due three months earlier than the submission of your corporation tax return for that year. The due date for payment of corporation tax is nine months from the end of the accounting period, so, for example, if the accounting period runs December 1st 2011– December 31st 2012, your payment is due by September 30th 2013. Be warned: late payments attract a penalty where interest is calculated on the amount owed. If HMRC sends you a “Notice to deliver a Company Tax Return” and you don’t file it, a penalty will be charged. HMRC will tell you how much corporation tax to pay: this is known as a ‘determination’. Along with the determination, HMRC will send you a “Notice to Pay”, and you must pay the corporation tax due immediately. HMRC will charge interest on the back-tax to the normal due date for payment — normally nine months after the end of your company’s corporation tax accounting period. This determination takes the place of the amount of tax you would have calculated had you filed a company tax return. The rate of corporation tax HMRC thinks your company should pay. Contractors, one thing you can be absolutely sure of is that HMRC will estimate the amount of corporation tax you owe by balancing up rather than down, AND your company will immediately be placed on their radar as one that does not take its tax matters seriously. Clearly, you do not want this sort of attention, especially in the current climate, so be careful. The penalties for inaccurate information on company tax returns will be explored in the fourth part of this round-up of officialdom’s penalties, sanctions, fines and prosecutions. Leaving such an aspect to the final part is fitting because the taxman’s ‘stick’ (as opposed to his ‘carrot’) comes within penalties that are assessed, and for which you will be penalised accordingly, as a result of negligence, concealment or mistake. Normally called “Schedule 36 Penalties”, these are levied based on a tax enquiry. Make sure you look out for this next week. For the period April 2012 to March 2013 all businesses that pay benefits and expenses to directors or employees must file a P11D return to HMRC by July 6th 2013. However, companies that hold a dispensation certificate do not always have to file a P11D return if all payments of expenses are covered by the dispensation notice. Ideally, businesses that hold a dispensation certificate will not pay any taxable benefits to employees/directors and reimbursement of expenses will, therefore, be covered by a dispensation certificate. Companies that do pay benefits to employees or directors must file a P11D(b) return and must issue a P11D certificate to its employees. Companies that reimburse expenses and do not have a dispensation certificate must also file P11D (b) return. After the end of the tax year, form P11D must be filed for each employee/director to whom expenses and benefits have been paid during the tax year. One copy of a P11D(b) must also be filed to declare the overall amount of Class 1A National Insurance contributions due on all the expenses and benefits provided and detailed on form P11D. P11D submissions must reach HMRC by July 6th following the end of the tax year. But payment of the Class 1A National Insurance Contributions declared on form P11D(b) must reach HMRC by July 22nd, or by July 19th if paying by cheque. If you do not file the P11D and P11D(b) by July 6th HMRC will wait until July 19th before applying a penalty. If you do not pay any money you owe by the due date you will incur another penalty. The same deadline applies regardless of whether you file the form online or send HMRC a paper version. Where a return has not been received by July 19th HMRC will write to advise that a penalty may already have been incurred and that the return must be submitted by August 6th to avoid further penalties. Penalties accrue for each month (or part month) that a return remains outstanding after the filing date. So, if your P11D remains outstanding for more than four months, a penalty notice will be issued shortly after November 6th and again the following March and July. The penalty notices will show the amount of penalty outstanding. The penalty for late filing of your P11D is the same as that detailed in part 2 last week in relation to PAYE, and is calculated at £100 per 50 employees for each month or part month you delay filing your P11D(b). Similarly, the late payment penalty regime for P11D and CIS are the same under the PAYE rules, so first let’s focus on the penalty regime that applies for late filing of CIS returns. The Construction Industry Scheme (CIS) is a tax-deduction scheme that involves tax being deducted at source from payments which relate to construction work. CIS does not apply to payments made to employees as employees are covered by PAYE and tax deduction is at source. The CIS regime applies to all payments made under a construction contract where one party is a contractor and the other party is a subcontractor. 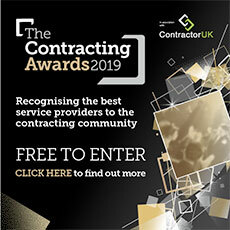 Contractors include property developers and builders and businesses which are not in the construction business but which have spent on average £1 million or more on construction operations for the last three accounting periods. A subcontractor is a person receiving payments under the construction contract and someone who is obliged to carry out construction work for the contractor, providing staff or subcontracting work to another party. For this category of taxpayer, a monthly CIS return must be sent to HMRC no later than 14 days after the end of the tax month to which it applies. A tax month runs from the sixth day of one month to the fifth day of the following one, so this means that the return must be with HMRC by the 19th of each calendar month even if no subcontractors were paid in the last tax month. A “nil return” must be sent to HMRC regardless, and the same deadline applies. 6 months late – 5% of the tax due, subject to a minimum of £300. For forms that are over 12 months late, the penalties range from a minimum of £300 to £3,000 under Schedule 36 rules, which will be covered next week in part four. There are late payment penalties on all PAYE amounts that are not paid in full and on time, including National Insurance Contributions outstanding on P11D(b) submissions and late payments of CIS. You will not be charged a penalty if only one amount is late in a tax year unless that payment is over six months late. But remember, these penalties apply to all PAYE amounts outstanding. And for 10 or more late payments you will be charged 4%. Contractors, keep in mind - the payment is due on the same date you file the return, that is, the 19th of each month: a penalty of 5% applies to amounts unpaid for more than 6 months after the penalty date and a further penalty of 5% applies after 12 months. This brings us to the close of what I hope has been a useful guide for contractors on late filing and late payment penalties levied by HMRC and Companies House. As I’ve said previously, in a punitive system – whereby the more you delay the more you pay – no contractor should really afford to take any chances when meeting their numerous time-sensitive filing and payment obligations. But there’s even more sanctions from officialdom which you’ll want to avoid as a contractor business. So next week, in part four, the focus will be on the penalties and sanctions that relate to incorrect returns which, in the eyes of those revenue-hungry officials, can only be explained by your negligence, concealment or mistake.